Two years have passed since Space Safety Magazine came to life. Founded by a team of three people with sponsorship from the International Association for the Advancement of Space Safety (IAASS), Space Safety Magazine aimed at popularizing the idea that space safety is not only a moral duty, it is also an indispensable element to ensure sustainable growth of the space industry. It did not take long to see this principle in action: on August 24, 2011, just days after the inauguration of our website, a Soyuz rocket failed while delivering a Progress cargo ship to the International Space Station. It was one of the first of a string of failures that have plagued the Russian Space Program to this day, with the spectacular failure of a Proton Rocket that changed course right after lift-off, aimed at the ground and then rammed into it as the most recent example of a space program that has lost its way. What’s remarkable about the Russian accidents of the past three years is that each one of them would have been avoided with proper quality control. Russian rocket technology is mature and well understood, and none of these accidents had an unpredictable or unforeseeable cause. But irrespective of the cause, the consequence is that the reputation of the Russian launcher industry, previously considered the most reliable of all, has been severely compromised by a policy that does not put a premium on safety and reliability. Today we are facing the development of rocket technology from a variety of new players. 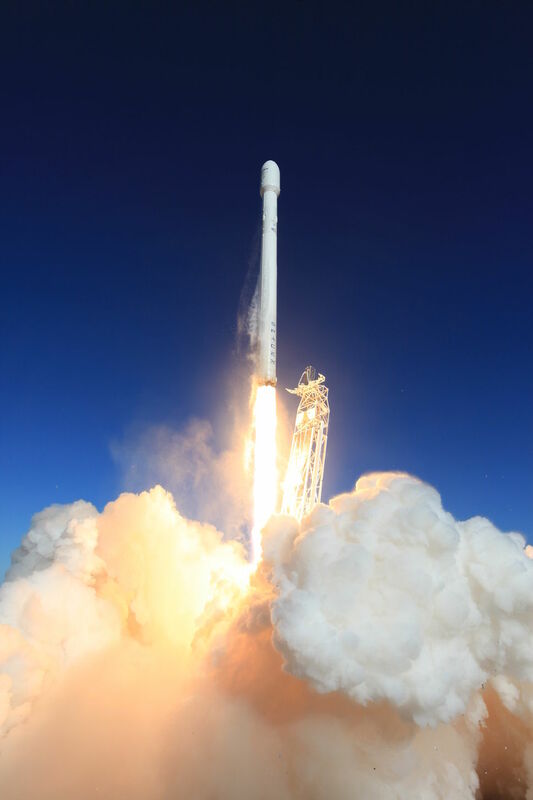 Given the complexity and the amount of stored energy, the development of new rocket technology presents an inherent risk of catastrophic accident. New players – like SpaceX – are testing new hardware. Pictured here, launch of Falcon 9 v1.1 on September 29 (Credits: SpaceX). Failure in the rocket industry has been studied for more than 50 years now. All major space programs have experienced failure in one form or another, and it is fair to expect more during the development of the next generation of space hardware. While it is impossible to completely rule out any possible cause of mishap, it is possible to contain and mitigate the consequences of a failure and to minimize the consequences to the crew, the personnel on the ground, and the population as a whole. Rockets can – and occasionally do – explode. Crew escape provisions and range safety are among the mitigations that need to be put in place and verified to constrain the consequences of such accidents. But what would happen in case of a catastrophic accident caused by mismanagement, miscommunication, and negligence in applying well established standards and best practices like the Proton explosion? An accident like this would probably affect not only the launch operator, but the industry as a whole. The Russian Space Agency is rooted in the oldest space program of all, the same one that launched the first satellite and the first human into orbit. It has shown a remarkable resilience that allowed it to overcome similar crises in the past. It is a national program driven by political – not just economic – factors, so it will certainly find its way out this time as well. The appointment of Oleg Ostapenko as new agency chief in lieu of Vladimir Popovkin may well be a step in that direction. New players in the commercial arena don’t have the luxury of an entire government behind them. Careless cost-saving – or publicity – measures may lead to an avoidable failure whose final cost would be immense for them, and would probably delay or stop the new development altogether. Now, if ever, is the time to double down on making rocketry and spacecraft safe. Space Safety Magazine has come a long way since that August 2011 mishap. Our collaborations have expanded, our pool of contributors have grown, and our organization has achieved recognition throughout the world as a source of reliable analysis. We are still the only safety-oriented media organization in the space arena. Georgi Dobrovolski (left), Vladislav Volkov (right) and Viktor Patsayev (background) of Soyuz 11 never made it back to Earth (Credits: Spacefacts). We have new initiatives in the works, starting with the website refresh we rolled out this summer. You can expect thought-provoking writing on topics neglected in other media, perspective and analysis brought to the events of the day. We’ll bring you cultural as well as technological reviews and highlight important events in the safety world with information and conference ticket discounts. We hope you will get involved in the safety conversation, sharing your own experiences and insights. This is how we build a future in space based on sound principles, advancing beyond the mistakes of the past. To those of you who have followed Space Safety Magazine all along, we thank you for your patronage. For those who are reading for the first time, we hope you will come again. Image Caption: A disoriented Proton dives to the ground shortly after launch on July 2, 2013 (Credits: TSENKI).